Conversations about philosophy, self-improvement, stoicism, and existentialism. The philosopher Seneca the Younger (4 BC-AD 65), or simply know as Seneca, was one of the wisest and wittiest philosophers of all time. He looks at the shortness of life and encourages us to live with vitality. He prompts us to examine our soul. He invites us to laugh at ourselves rather than cry. Listen or read these selected quotes to improve your life. Gain wisdom from a man who has helped many people live better throughout the ages. 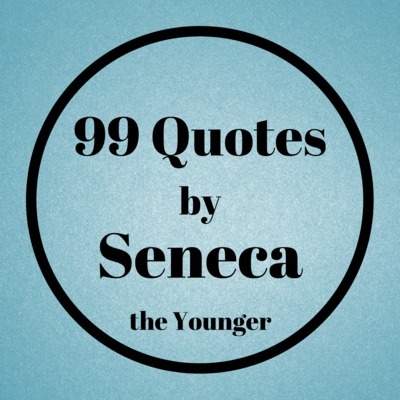 These 99 quotes have been selected from Seneca's wisest sayings as meditations to live your life by. What did Thomas Szasz mean when he said there is no such thing as psychotherapy? I talk with Scott Perry, author of The Stoic Creative. We talk about how to use Stoicism to create a rich life of tranquility, creativity, and satisfaction. I talk with Jeffery Schaler about his new book, Thomas Szasz: The Man and His Ideas (http://amzn.to/2wvEHyO). Thomas Szasz was an iconoclastic psychiatrist who did not believe in the concept of mental illness. He saw emotional distress as, "problems of living". We talk about Szasz and what he meant when he wrote that he did not believe in "mental illness".